Republican Matt Soper has been oddly silent about the legal challenge to his residency requirement to serve as District 54’s House Representative in the state legislature. 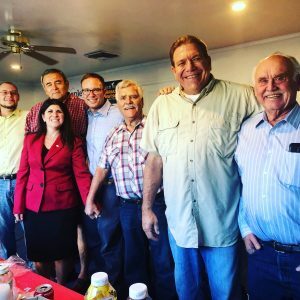 Soper hasn’t responded to journalists’ questions about his residency, nor has he challenged the conclusion that he didn’t actually reside in District 54 for the required 12 months prior to the election. Reporters noted that Soper didn’t show up for freshman orientation at the Capitol last week, and a Colorado Public Radio reporter was unable to find him at freshman orientation this week. He isn’t answering phone calls or emails, and there’s no evidence he’s moved into the 10 Hartig Drive house that he claimed was his legal residence, even after he had the occupants of the house evicted as retribution for telling the Daily Sentinel Soper didn’t live there with them. No one seems to be able to find Matt Soper, much less get a comment out of him about his predicament. So does his radio silence indicate guilt? If Soper believed everyone was wrong that he lied about his residence on his candidate affidavit, he’d probably be defending himself tooth and nail right now, but he’s not. In the mean time, District 54 voters are left scrambling to raise the thousands of dollars Colorado law requires as a surety bond** to bring a legal challenge against Soper’s election, so they can avoid having a new house representative who lied to them right out of the gate. It’s a very bad way to start a political career. In fact, Soper’s actions could ruin any hope he had of actually ever having a political career. Or, he could start to fix things. Hiding isn’t working, and being quiet isn’t working. Avoiding reporters and voters’ questions isn’t working. So what can Matt Soper do to turn this situation around? 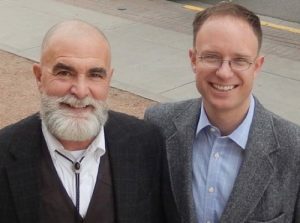 If Soper really cared about the western slope as he claims on his campaign website, and if he was any kind of a decent human being, he could take immediate steps to start putting this awful situation behind him and start restoring his good name. But what form should that take? Taking these steps won’t make the stain on Soper’s name disappear immediately, but it could get him started on the road to restoring his integrity. It could also start making amends to all the local Republican elected officials who stuck their necks out to endorse him and all the people who gave money to his campaign, and it might salvage some shred of possibility that he could one day actually have a political career. If he doesn’t take responsibility for lying to the public, Soper’s political career may be over right now, before it gets started. All the people who gladly endorsed him by appearing smiling in photos on his Twitter feed and on his campaign website could slink away in shame and try to forget the whole embarrassing episode. And if a state administrative judge ends up ruling that Soper did in fact lie about his residency on his candidate affidavit, all the voters who continued to support him through this episode will be incredibly disappointed and Soper will go down in local history as yet another huge, embarrassing mistake made by the local Republican Party. The decision is entirely up to Soper. **If you’d like to donate towards helping raise the surety bond to assure the challenge goes forward, contact former Palisade Town Trustee Dave Edwards at dafyddco@aol.com, who is heading up the effort.